I’m licensed with over 2 dozen life insurance companies. 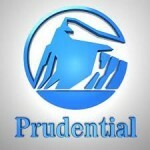 By far, the company I recommend most often is Prudential. Let’s take a look why an agent who could quote any number of companies would prefer Prudential. 1. They Approve Cases Others Decline – I can’t tell you how many people get declined by other life insurance carriers such as Farmers or Ohio National, but will be approved by Prudential. Some declines may be due to things like elevated liver enzymes, a history of stroke or heart attack, or any number of health concerns. Many insurance companies are quite picky about who they approve, but Prudential tends to be more lenient. Take mental health disorders, for example. Most companies will decline applicants if they’ve had a history of PTSD or bipolar disorder. While these are by no means automatic approvals by Pruco Life, I can tell you that I have had several cases approved by “PRU” with these conditions. There have also been cases when clients have come to me, and have literally been turned down by multiple carriers, and Prudential approves them. The one that was most remarkable was a man with stage 3 kidney disease, who was declined by Protective, Lincoln Benefit, and MetLife, but Prudential approved him. No, it wasn’t cheap, but at least he was able to get the insurance he needed. 2. Lenient Build Chart – When you’re shopping for the lowest term life insurance rates, your goal should be to find the company that will approve you at their best health class. That’s because insurance companies charge lower premiums for their better health classes. Prudential’s build chart (the chart that dictates what rating you can be approved at based on your height and weight) is very lenient, allowing applicants to “fit” into their best class when they would not be approved at best class with other companies. For example, take a 52 year old woman looking to purchase $1,000,000 of 15 year term. If she is 5’8 and weighs 180 lbs, she can qualify for Prudential’s best class, which has a weight limit of 190 lbs, but if she were to apply with an agent who didn’t know what he or she was doing and had her apply with a company like Banner Life Insurance, she would not be able to qualify for their best rating, because their cutoff for their best class is 160 lbs. Prudential is rarely the “cheapest” quote when you look at the top 10 quotes until you factor things like height and weight in. In this case Banner’s best class premium is $97.56 per month, which is much better than Prudential’s best class of $121.95 per month. But now that I’ve explained the build chart, you see she would actually qualify for Banner’s second best rate, which costs $126.44 per month, making Prudential the clear winner! What’s even more impressive is for applicants age 65 and over, Prudential’s build chart becomes even more lenient. For example, take a 67 year old man who is 6’0. At Prudential, he would weigh up to 228 lbs to qualify for their best class, whereas at Banner, the limit for best class is 207 lbs. So you can see why I use Prudential for my “big boned” clients. 3. Free Living Needs Benefit (Similar to Long Term Care) – Most companies offer some sort of accelerated death benefit, which allows you to access a portion of your death benefit (usually 50%) while you’re still living if you are diagnosed with a terminal disease. This benefit is free and is automatically attached to Prudential’s policies (even their term policies). 4. Non Tobacco Rates for Cigars, Pipes, Chewing Tobacco – Let’s say you use some form of tobacco, but not cigarettes. Do you feel you should have to pay smokers rates? Every other company on the planet does, but not Prudential. They have a special Non Smoker Plus rating for “non cigarette” tobacco users. If you’ve purchased another policy and were listed at tobacco rates due to one of these forms of tobacco, you could literally save over 60% by switching to Prudential. What’s really cool about this too is they don’t limit the cigar use like so many other companies do (such as allowing up to 2 cigars per month). With Prudential, you can use as much cigars, chewing tobacco, or pipes as you want and Pru actually expects the urine specimine to be positive for nicotine. 5. Family History Penalty – Beware when applying for life insurance with other companies if you’ve had any incident of cancer or heart disease in either parent or any siblings. Most of these companies, including Banner Life, American General, Genworth, and Minnesota Life, will exclude you from their best class if any of these family members have had “any incident” of these diseases prior to age 60. See the difference? As long as your parent or sibling lived through the heart incident or cancer, you can still get Prudential’s best class. What’s more, Prudential only penalizes you for family history of cancer if it’s a type of cancer with a high degree of familial risk, such as breast, colon, melanoma, ovarian, pancreas, prostate, and stomach. 6. “Actual Age” Dating – Most other companies use an “age nearest” dating system rather than “actual age”. So even if someone is actually 47 years old, but they’ll be 48 in a couple months, in the eyes of most companies, they are already 48 years old and will pay the 48 year old premium. Not so with Prudential. You stay your actual age until your actual birthday, and don’t pay more for insurance simply because 6 months have passed since your birthday. 7. “Specialty” Cases Approved – There are a hundred other types of cases we take to Prudential when either no one else will accept them, or Prudential has the best price. One such type of case is someone with a recent DUI. I’m not saying they will always approve these cases, but I’ve had at least a dozen people get approved at a mild substandard rating with Prudential who had a DUI as recently as two weeks prior to having a DUI, whereas most companies will postpone any type of offer for at least 3 years after a DUI. Prudential is also our “go-to” company for foreign nationals. They will approve non-U.S. citizens who come to the U.S. regularly, even if they don’t have residence established here. So if you live in Canada, Mexico, India or China, and have ties to the U.S. for business or family matters, we like Pru for these cases. Another such specialty case would be preferred class offers for people with sleep apnea. Most other companies will offer no better than Standard for sleep apnea, but Pru frequently approves these cases at better than Standard as long as the applicant uses his/her CPAP daily, as prescribed. I could go on and on about the types of cases Prudential “specializes” in, and awesome approvals we have gotten, but I think you get the point. If you’re shopping for term life insurance, be sure to ask your agent to give you a quote for Prudential, or call us for a quote at 877-996-9383. Why Buy Term Life Insurance for Children?